The Club is extremely fortunate to have a number of secured compounds adjacent to the Clubhouse and the launching slipway. 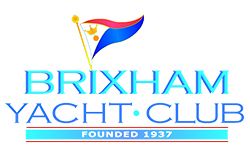 The Main Compound is used to store the Club RIBs and Dinghies all year round but also in the Summer season it is available for members to store their own dinghies (for a fee) and provides the Brixham Gig Club with convenient storage for a number of their boats. In the Winter months it is used for fee-paid dry storage of member keelboats, which are craned-out of the water in the Autumn and craned-in to the water in the Spring. In addition, the smaller Tender Compound houses member dinghy tenders and outboard engines by arrangement and for a fee. For Storage requests in the main compound: – Please DO NOT send any payment with your reservation form. Spaces will not be allocated until March when we have all the applications in. We are expecting a very full compound with many members purchasing boats and the rapid increase of our Cadet Fleet. Powered boats will be allocated space once the Sailing Section has been accommodated with 2018 Volunteers and helpers being given priority for the 2019 Season. Existing holders for Tender Racks, Kayak Racks and Engine store will be able to keep their allocation for a further year. Please contact the Rear Commodore Sailing if you would like to move Racks, there are a few still available. Crane in day will probably be Saturday the 23rd March 2019 with the compound being available for Dinghies from Saturday the 30th March or 7 days after Crane-In should it be postponed due to weather. All compounds are accessed by combination locks. Keys will no longer be issued or used. You will be notified of the relevant access codes when you pay for storage. These codes may not be published to third parties and in the event of any abuse, the codes will be changed. Please speak to the Facilities director if you are interested in future Winter Storage, but please note that the compound is currently full with a waiting list. Priority will go to volunteers who allow their boats to be used by the Club for events, followed by Keelboats owned by volunteers and people who help the club. Weight limit is 4 tonnes. Boats owned by Members may be stored in the main compound for the sailing season only, from the week after Crane-in day to the week before Crane-out day on payment of the fee in advance. Hobie Cats may be stored in the main compound for a whole year, if there is space, at a fee payable in advance. They must have a current year numbered sticker attached. All dinghies & catamarans are subject to removal from the compound for BYC special events & championships, without compensation. Owners will be notified in advance of dates that they will be required to move their dinghies. Brixham Yacht Club reserves the right to remove all dinghies not bearing the correct numbered sticker and to sell the dinghy without reference to the Owner. Note: Fuel cans must NOT be stored in the engine store. Any cans found will be removed and disposed of. Kayaks and collapsible cradles can also be stored in the Tender Compound if space permits, please contact the Rear Commodore Sailing BEFORE bringing your Cradle/Kayak into the compound.